Automatic telescopic sliding doors are the perfect option where the maximum clear opening width is required giving a significantly larger passage width than the equivalent width standard design automatic sliding door. These reliable, hard wearing doors are perfect for use in most situations and can be fitted with a range of control and closure functions. 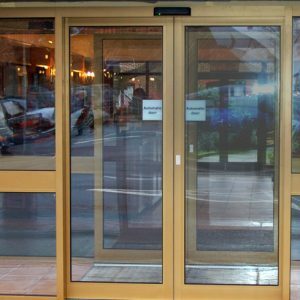 Automatic telescopic doors are most commonly used when space is at a premium or where conventional sliding doors are unsuitable. Available in two part single direction or four part bi-parting doors, an automatic telescopic door has all the benefits of a conventional sliding door system. It also brings the added advantage of maximising foot flow and ensuring that passageways are not congested. 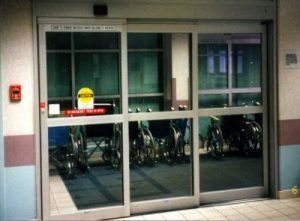 Automatic telescopic doors are popular at building with very high foot traffic. The telescopic door gives you a solution to a specific issue. Many different types of building and companies are using the automatic telescopic door.